What happens when an uncontrollable virus turns the living into the living dead? Find out in VIRUS OF THE DEAD, a Zombie anthology horror film produced by Tony Newton producer of Troma's Grindsploitation film series and the upcoming horror anthology Creepypasta. This zombie horror anthology uses the latest technology to capture victims of a virus that spreads across the globe! 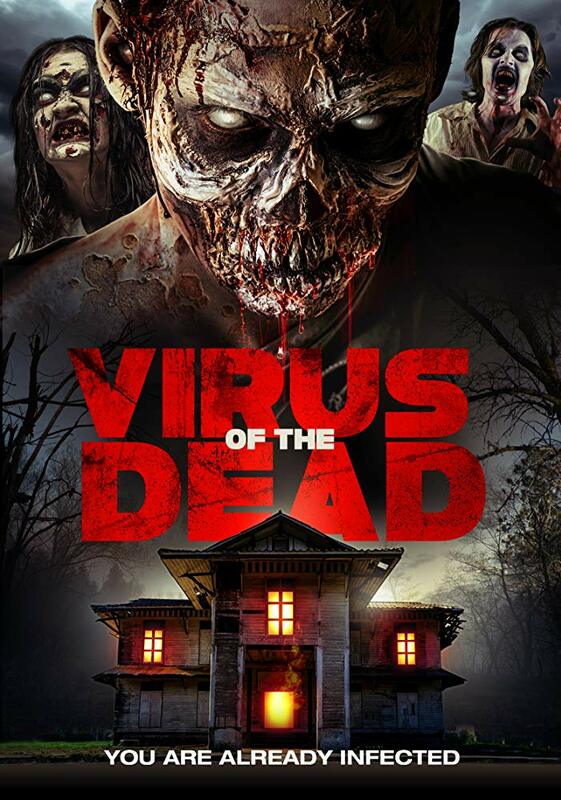 Tony Newton, John Penney, Shawn C. Phillips, Nick Principe, Timo Rose, Shane Ryan, Emir Skalonja, Steven S. Vrooman, you are bound to find something to like in VIRUS OF THE DEAD. Virus of the dead is a found footage zombie horror anthology film that came to mind when I was writing the book "#I'm Zombie" which is a zombie mosaic novel told in forum posts, blog posts and from accounts online, as if we are seeing the world crumble from an online perspective, while I was writing #I'm Zombie I thought up the idea for "Virus of the Dead" and thought that the film could take it one step further as we have an almost voyeuristic look into the lives of people as if we are watching live streaming you tube videos of their world falling apart when an uncontrollable virus not only kills but also brings the dead back to life. I've always been obsessed with zombie films, George A. Romero is the best filmmaker of all time in my opinion, he is the reason zombie films, books and games are thriving in popular culture today! Virus of the dead features an onslaught of directors from across the globe, with each tale bringing its own form of horror and unrelenting shocks and scares along the way! VIRUS OF THE DEAD is told through uploaded videos, CCTV , video chats, Smartphone Videos and video logs told from survivors across the globe! Sink your teeth into this new found footage zombie horror anthology film! VIRUS OF THE DEAD is available to rent or buy on Amazon prime and other VOD outlets with a DVD release hitting early 2019 by Wild Eye Releasing.